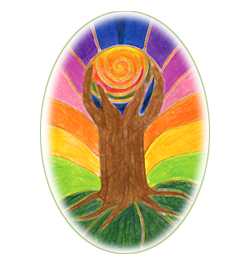 The Mission of the Somatic Art Therapy Trauma Institute (SATTI) is to enlighten, educate and train professionals in the principles and practices of Somatic Art Therapy. 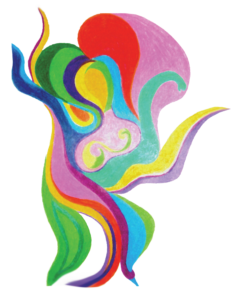 The trainings are designed to revitalize and re-energize private practice and agencies by integrating a Somatics and Expressive Arts component that will expand and transform current therapy practices. SATTI offers two levels of training and a certification process that includes practice, a minimum of 10 hours of group supervision and demonstration of proficiency in the model (via DVD or observation). A certificate will be given upon completion of the two-year training and requirements. The training is available to therapists, nurses, doctors, body workers, teachers, artists, students and anyone interested in exploring the connection between the body, creativity and healing. Supporting your journey of awakening to health and wholeness in a fun, enlivening and creative way, is the intention of this 12-day somatic and expressive arts training. You will learn to walk the Spiral of Healing, access resources, create safety and build boundaries and protection. You will also learn to prepare and strengthen your awareness of and relationship with your body, journey through your chakras or energy centers, and retrieve and re-member aspects of yourself. This is an opportunity to witness your “inner cast of characters” in a safe, nonjudgmental and sacred environment. The 12 days of the training are on weekends throughout the year. The 12 days of training are in weekend modules. 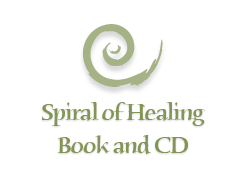 Use the principles and processes from the book and companion CD: The Spiral of Healing: A Journey through the Chakras to Awaken Creativity and Body Wisdom. which takes place in community and sacred space. For all those longing to heal and deepen their connection to self, other and Earth, this training offers insight and practical tools. Through a unique blend of somatic and creative arts practices we travel into our bodies, minds, hearts and spirits, and rediscover the relationship between ourselves and the world in which we live. In these high-stress and fearful times, our biggest resource is our connection to bodily wisdom. In learning to understand its feeling language and to follow its sensate guidance, we can reclaim our personal power. Then, we will live the lives we were born to live, in love and gratitude. 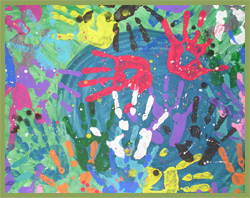 Explorations take place in sacred and safe space created by the facilitator and participants. 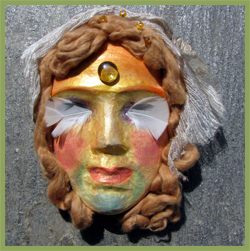 Identify and reclaim archetypal energies and awaken and utilize your creative self for healing and transformation. Develop a reciprocal working relationship with your essential self. In these high stress times of both personal and cultural trauma, our biggest resource is our connection to bodily wisdom. By listening to its unique language, we can reclaim our personal power, transform our experiences and live the lives we were born to live, in love and gratitude. We all know someone or are someone who has been through a traumatic experience, whether it be an accident, medical intervention, deep loss or abuse. Why do some people more easily heal from their experiences while others seem unable to move forward in their lives? In this 12 day training, we will focus on the physiology of trauma, with emphasis on the autonomic nervous system, and its resolution using the creative arts therapies and body wisdom. We will explore our bodies as the repositories for both wounding and healing, guiding us from blocks into breakthroughs and pain into wellness. We will address both shock and developmental trauma, and how to work with each. And all that we do will support our moving into our joy. During each day of the training we will work with ritual, body-based awareness exercises, art process, working in dyads, and group discussion. The information will be presented sequentially and each aspect will be touched upon in every process. 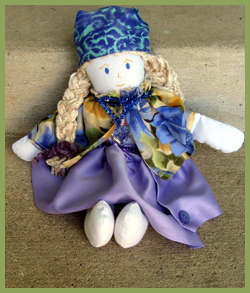 Special emphasis will be placed on developing conscious awareness of one’s individual process. 7. Joy Practices – awakening to the sensations of joy as both the path to, and embodiment of sacred unity. 8. Sacred Unity – the foundation of the training; awakening an awareness of our interconnectivity with all life. 1. Understand the physiology of the autonomic nervous system as the basis for healing the aftereffects of trauma including isolation, disconnection, helplessness, constriction and hypervigilence. 2. Enhance one’s understanding of the seven chakras and their relationship to the storage and release of trauma from the body. 3. Understand via direct experience of one’s own body messages (sensations and symptoms), using creativity and guided visualization, how one can connect to the sources and sensations of trauma and transform them. boundaries and the techniques of pendulation, titration, braking and exceleration aid in the resolution of trauma. 5. 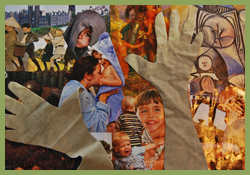 Gain a beginning knowledge of how art process and trauma resolution theory and technique combine to enhance effectiveness. with different populations and different trauma responses. process, sounding, and practices that enhance one’s experience of joy. sounding or in writing which enhances one’s experience of joy. 8. Group supervision for certification. 1. Trauma as Initiation: Identifying Traumas; Introducing Resources; Trauma as threshold experience; neurophysiology of trauma, SIBAM, joy practices, art and writing processes. 2. Tracking Skills: Defensive Orienting Responses; trauma after-effects; pendulation, titration, braking and accelerating process; cycle of expansion and contraction; focusing on sensation; Following the Image, joy practices, art and writing processes. 3. Introducing Trauma Techniques: Pendulation, Opposite Image; revisiting early childhood experiences; cycle of trauma release, joy practices; art and writing processes. 4. 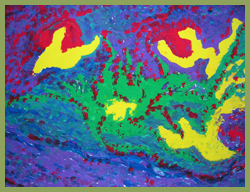 Coupling Dynamics – Relationship of SIBAM channels; Undercoupling and dissociation; Overcoupling and Enmeshment; Spaciousness and Connection; art and writing processes; joy practices. 5. 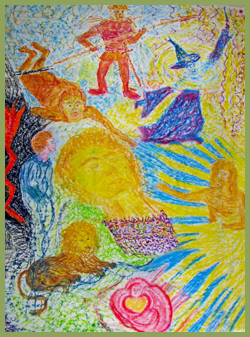 Inner Cast of Characters – Identifying Parts and The Internal Family System; developing the Inner Witness; working with polarizations of parts; Inner Critic; art and writing processes; joy practices. 6. Relaxing into Joy – Review and Integration of Model; joy practices shared; art and writing processes; Taking the next step towards certification.